Call it home schooling. I learned more about the craft of writing from two writing parents than I ever would in a classroom. 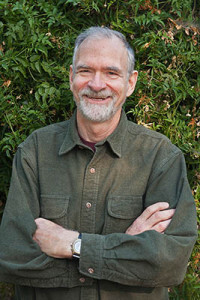 Born in 1948 in Berkeley, California, the son of poet Jeanne McGahey and teacher/critic Lawrence Hart, I grew up in an atmosphere of literary discussion and rigorous devotion to the power of words. I even recall my mother helping me write scurrilous limericks directed at school bullies. About the time I started high school, I fell, hard, for the operas of Richard Wagner. But were the words being sung to that wonderful music really as awful as the English translations on offer? A month into my freshman year, I jumped ship from beginning French to beginning German, saving the French for later. This track led to me to a wider interest in literary translation and to a BA in Comparative Literature (Princeton, 1970). I was headed down the road to the academic life, but found I had had my fill. As I sat down dutifully to apply to graduate schools, the news that I had won the James D. Phelan Award (for an unpublished poetry manuscript) gave me a kind of license to go another way. Poetry, though, was not going pay the rent. In that year of the first euphoric Earth Day, I walked into the offices of a local newspaper, the Pacific Sun of San Rafael, California, and wangled an invitation to try an environmental column. Columns became full-length articles, which attracted some attention, and an alternative career track, as a non-fiction writer on environmental affairs, began. The tally so far includes three books with University of California Press, four more with Sierra Club Books, and eight with regional and specialist presses. I write perennially about water policy, farmland conservation, land-use planning, and wilderness preservation and travel. My title Walking Softly in the Wilderness: The Sierra Club Guide to Backpacking has been through four editions and is considered one of the basic texts in its field. My first verse volume, The Climbers, appeared in 1978 in the Pitt Poetry Series; the sequel, Storm Camp, is in circulation. (As these titles suggest, I’m an addicted climber and mountaineer.) I now work with poets and other writers in settings including the Lawrence Hart Seminars, which link back to a circle established by my father in 1937. I am an editor at the respected and durable little magazine Blue Unicorn, continuous since 1976. In 2004 I married Helen Schoenhals, whom I first met on a Junior Year Abroad in Freiburg im Breisgau, Germany. She had stayed on in that country and become a well-known psychoanalyst in the Melanie Klein tradition. It was a commuter marriage until 2008, when she moved her practice to San Rafael, California. Member: American Alpine Club, Association of Literary Scholars and Critics, Authors Guild, and various other literary and conservation organizations. See also directories including Who’s Who in America, Contemporary Authors, others.